YOU GUYS! I am so excited for this cover! And for the series as a whole. And it's all thanks to YOU, my perfect and amazing and super good-looking readers. You guys asked for a series from Becca's point of view, and now you're getting it. If you liked Summer Unplugged, now you'll get to see what happened during Bayleigh's best friend Becca's summer that year. Becca had planned to spend the summer hanging out with Bayleigh and then her plans all came crashing down when her best friend got grounded and sent away for the summer. Now Becca is alone and can't even talk to Bayleigh on the phone. Not wanting to miss out on the summer before senior year, she takes a job at the local indoor BMX track. The job is fun, her boss is laid back, and the place is packed with hot guys. This may be a summer without her best friend, but it doesn't mean she'll have to spend the summer alone. 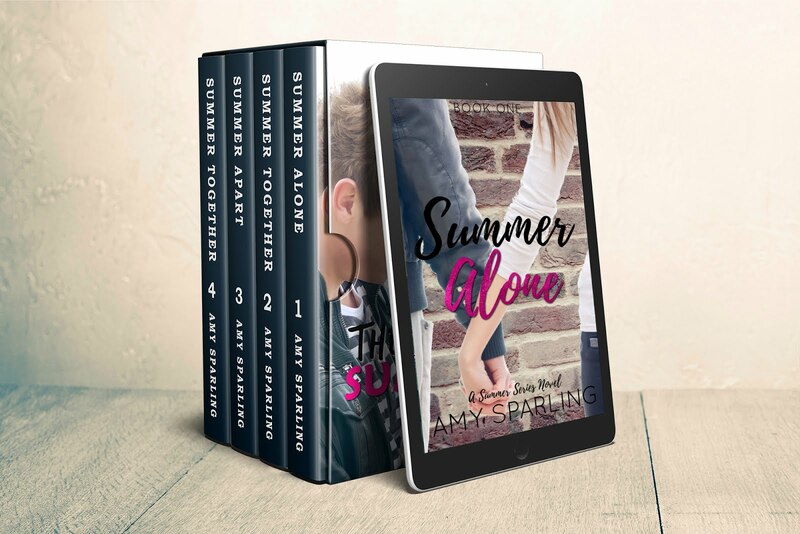 Add Summer Alone on Goodreads now!